The Islamic State jihadist group announced that it has established a province in Khorasan, a historic name for a region that covers Afghanistan, Pakistan, parts of India, and other surrounding countries. Abu Muhammad al-Adnani, identified as an Islamic State (ISIS, ISIL, or IS) spokesman, made the announcement in an audiotaped speech posted on jihadi forums. Al-Adnani declared that former Tehreek-i-Taliban Pakistan (TTP) commander Hafiz Saeed Khan will serve as the governor of the province in Khorasan, which has numerous spelling variations. Former Guantanamo Bay detainee and former Taliban commander in southern Afghanistan, Abdul Rauf Khadim, was named the deputy governor. Khadim has allegedly been carrying out operations on behalf of ISIS in Afghanistan’s Helmand province along the Pakistan border. Helmand is one of the deadliest areas of the Afghanistan war for U.S. and Afghan forces. It is located next to Kandahar province, the birthplace of the Taliban. The expansion of the so-called ISIS caliphate into Khorasan comes barely four months after al-Qaeda declared the formation of a new branch in the Indian subcontinent. “Both Al Qaeda, whose chief Osama bin Laden was killed by US special forces in Abbottabad, and IS have launched a push to gain a foothold among Pakistan’s numerous terror groups,” reported India’s Hindustan Times. Earlier this month, a group of Taliban members in Afghanistan and Pakistan pledged loyalty to ISIS and formed the Khorasan Shura. 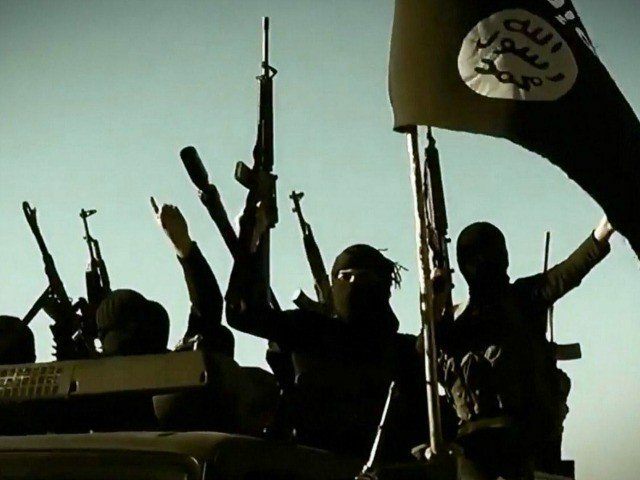 The Hindustan Times reported that ISIS has been able to recruit young men in India. “The concept of Khurasan has been used in the past too for recruitment in the region… ‘The region depicted as part of Khurasan has been a fertile area to encourage people to pick up arms,’” a retired commodore and security expert told the Indian news outlet. ISIS flying black flags in Khorasan presents an end-of-days scenario for some Muslims. “Khorasan is an old name for Afghanistan, and is a word that carried mythical overtones for some Muslims after an ancient prophecy that black flags would once again fly in Khorasan before the end of the world,” reported BBC early this month.